Our military museum proudly honors our Veterans. Generations at Oakton is proud to honor our veterans in a Military Museum. 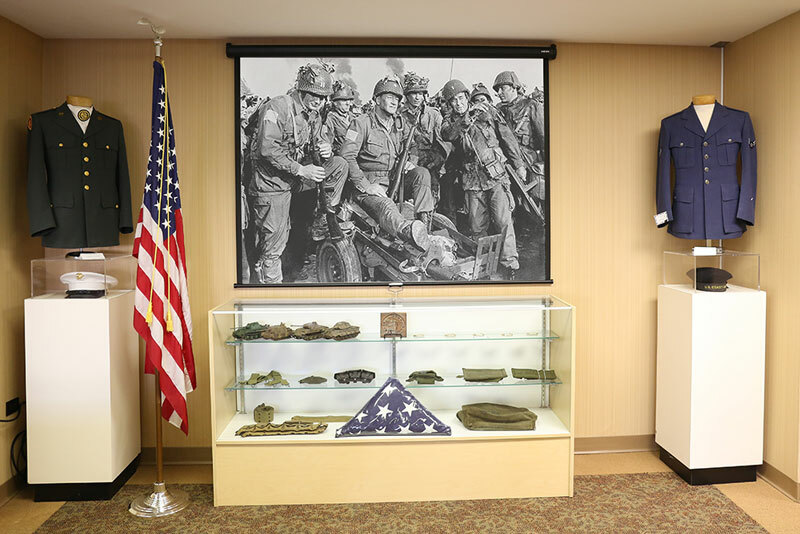 Originally created in collaboration with the Des Plaines VFW, it is now managed by Generations. VFW Post Commander Mike Lake, a Vietnam War veteran and long-time Des Plaines resident, hopes to engage the local community in sharing the stories and experiences of World Wars I and II, the Korean War, and the Vietnam War. 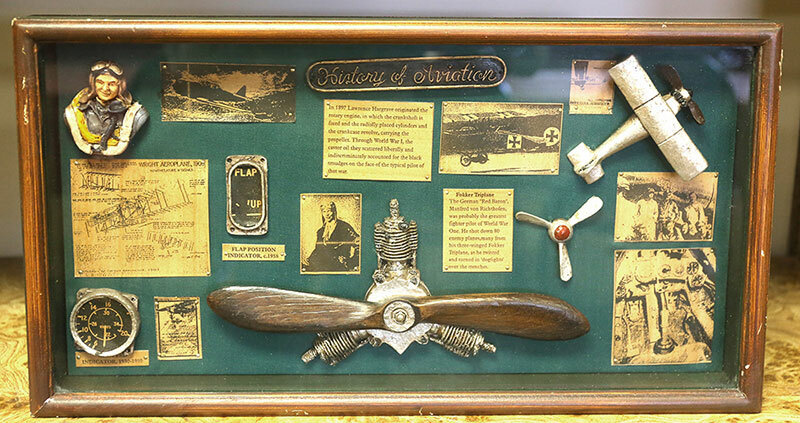 We want to establish a military museum as a source of education for the younger generation. The museum collection currently includes miniature model tanks, photos, uniforms, and helmets from each war. 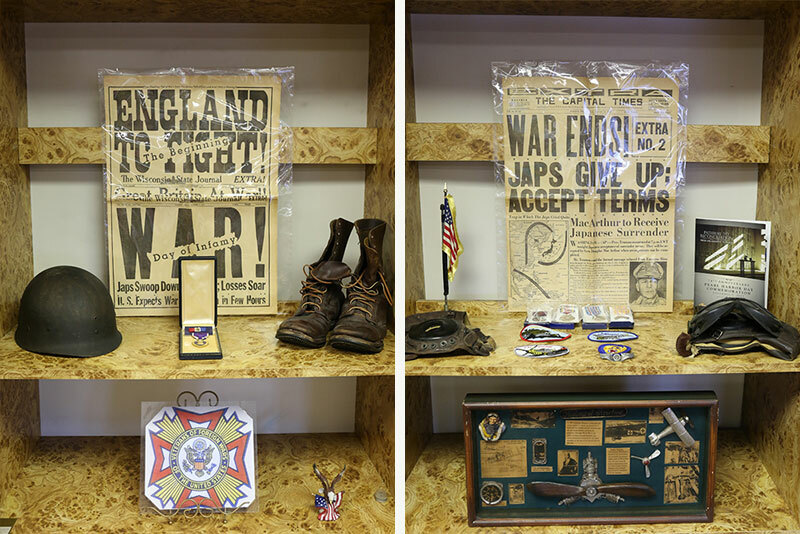 Both Generations residents and those in the community are encouraged to bring in their military memorabilia and artifacts. The room is also host to the VFW monthly meetings as well as local groups – Toastmaster, Toastmaster (German), Happy Twirlers Square Dance club, and Des Plaines Ministerial Association. We host a monthly bingo event and serve as a polling place to the community. The museum is open to the public daily during hours that the front desk is manned, typically from 8 a.m. to 8 p.m. daily. If no one is at the front desk, the museum is closed. Admission is free.